I received this KuGi Tempered Glass screen protector as a Christmas present, and quickly rushed to replace the tacky Skinomi film I had installed a few days prior. That film protector left a noticeable gap around the edge of the screen that looked silly but, even worse, felt silly when swiping my finger in from the edge of the screen. This tempered glass protector is so much better. Installation was a breeze. It took maybe three minutes to install - and that's including the time to remove the plastic protector, clean the screen with the included cloth, peel the backing off the new glass protector, and gently lower it into place. 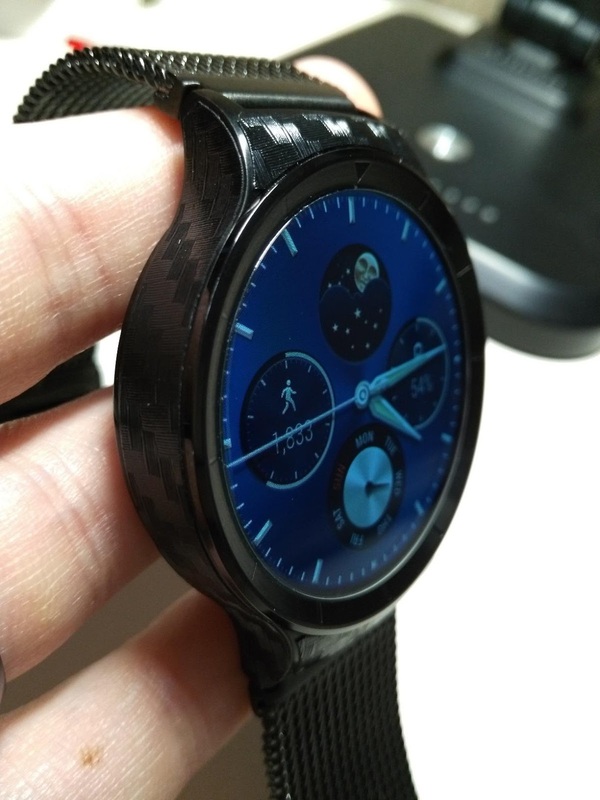 The sloped edges of the Huawei Watch's bezel made it easy to center on the display. If you're being really picky, you can see that there is a very very very slight gap around the edge of the protector once installed. I seriously didn't notice it at all until I started reading other reviews pointing it out - so I'm sorry that you can't un-see it now! In real-world use, though, it's hardly an issue. 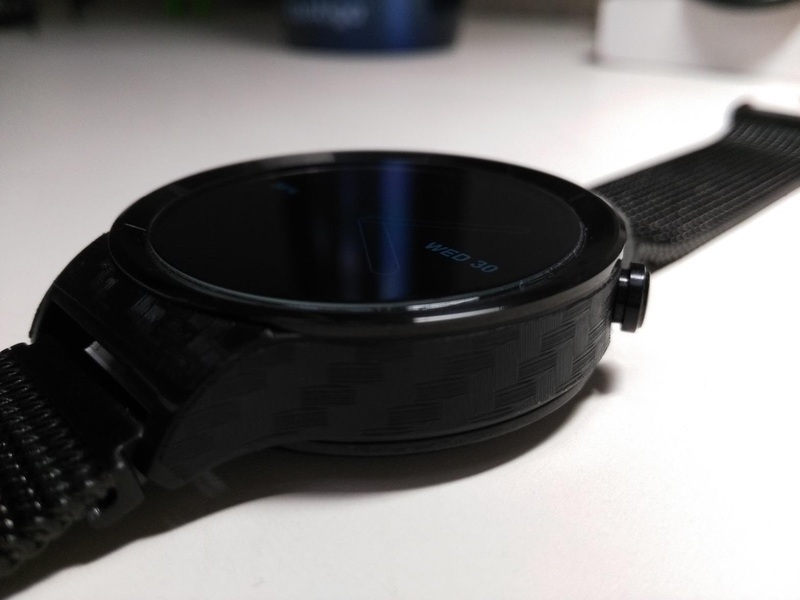 The glass sits pretty close to flush against the slope of the watch's bezel, so finger-swipes across that edge feel pretty much like they always did - no more awkward bump! And, being glass, it feels very much like the surface of the sapphire display. It even seems to do a better job of discouraging fingerprints than the bare display alone! Now, I don't really know that the Huawei Watch really needs a protector - the sapphire display should be pretty difficult to scratch on its own. The screen also sits recessed a bit below the bezel, further shielding it from any dangers. If you feel the need to protect your screen, though, do yourself a favor and get this one.